Brace yourself financial services, you’re next. Digital innovations have radically transformed various industries over the last two decades, and the Financial Services spaces is ripe for disruption. Media (publishing, movies, and music) no longer resembles the industry it once was thanks to Netflix, the Kindle, and streaming music services. Uber and airbnb have changed the nature of travel and transportation, and Amazon has fundamentally reshaped the retail landscape. Financial services stands to be similarly transformed over the next decade, and there is a new race to own the consumer relationship. New entrants are ready to shake up the existing industry structure and position themselves as key figures in a consumer’s financial landscape. These new entrants see a variety of unmet consumer needs and are poised to meet those needs in new in unique ways. Consumer habits have been changing quickly leading to greater market opportunities, and the established players have not introduced sufficient innovations to capitalise on these opportunities. According to a recent Accenture study, global investment in financial technology (fintech) companies tripled from 2013 to 2014. Transferwise: a low-cost money transfers across currency boarders has transferred £1 billion of its customers’ money. Investors already include Peter Thiel, Richard Branson, Index Ventures and Seedcamp. However, new products and services aren’t limited to start-ups like these; in fact, there are some interesting examples of new products and services coming from traditional banks. For example, Barclays has brought together two burgeoning technology trends – wearable technology and mobile payment. Barclays tested “tap and pay” contactless payment gloves in London last Christmas. The gloves allow a shopper to easily pay during the winter months without having to dig to find her card while carrying shopping bags. In a similar play on wearables, UK building society Nationwide has extended its mobile banking app to the Android Wear platform, Google’s operating system for wearables, so customers can confirm their bank balance on their smartwatch. The challenge is that incumbents are not moving strongly enough in digital. There is a significant gap between the awareness of digital disruption and the willingness to act. Recent Forrester research highlights that 83% of Banking and Financial Services executives believe their business will be disrupted by digital technologies in the next 12 months. However, only 42% of those executives believe digital is a major driver of their company’s business strategy. (Forrester: Digital Disruption Hits Retail Financial Services, July 18, 2014) Until the established players decide to make major moves in digital, they are leaving the door open for new entrants to take over the customer relationship. Invest in innovation to stay in the game. Financial services organisations must establish a clear executive mandate and place digital at the centre of the consumer experience moving forward. This shift requires fundamental transformation of the organization and requires companies to build a culture of innovation and create a portfolio of digital investments across the consumer segments and need states. Some incumbents are experimenting with various approaches to this need. UBS opened a fintech innovation lab in London’s Level 39, the largest fintech incubator in Europe. Own the consumer relationship through digital utility. The value equation between brands and consumers has shifted dramatically – something we refer to at Razorfish as the digital experience economy. 21st century brands need to be built in radically new ways to empower consumer demands in order to drive loyalty. Brands who provide a useful service to meet a specific consumer need will be adopted by consumers and therefore become a more central point in the consumer’s financial universe. Venmo is a great example of a new entrant that has embedded itself into the daily rhythms of Millennials because of its utility and usability. The company recognised a need among millennials for settling small debts (bar tabs, restaurant bills) without exchanging cash. Its app enables users to seamlessly send and receive payments on their smartphone. Its mobile transaction volume (in USD) exceeded that of the Starbucks mobile payment app according to BI Intelligence. Extend the consumer relationship through digital lifestyle services. Successful brands often connect with consumers on areas of shared interest to drive sustained engagement with the brand. Financial services organisations should find ways to provide new sources of value through services related to their leisure and lifestyle activities. These investments create emotional links to the organisation and build the brand. 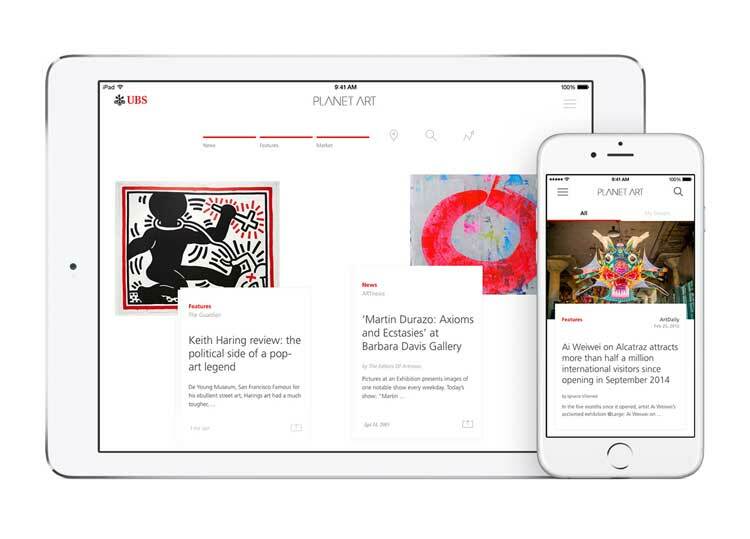 The UBS Planet Art app is a good example of this digital lifestyle service. Through its robust consumer segment analysis, the company realised a significant number of its most valuable customers had a special affinity for contemporary art. To better engage with these consumers on a regular basis, UBS created a new app to collect and curate global news from the fragmented world of contemporary art. Though digital has brought changes to the financial service over the past few years, the industry is on the precipice of dramatic transformation. Existing institutions have long held the consumer relationship, but that dominance appears to be in jeopardy as new entrants flood the market with innovation. Incumbents must invest in digital innovation, deliver digital utility, and provide digital lifestyle services if they wish to remain relevant and maintain a pivotal role in the consumer relationship.